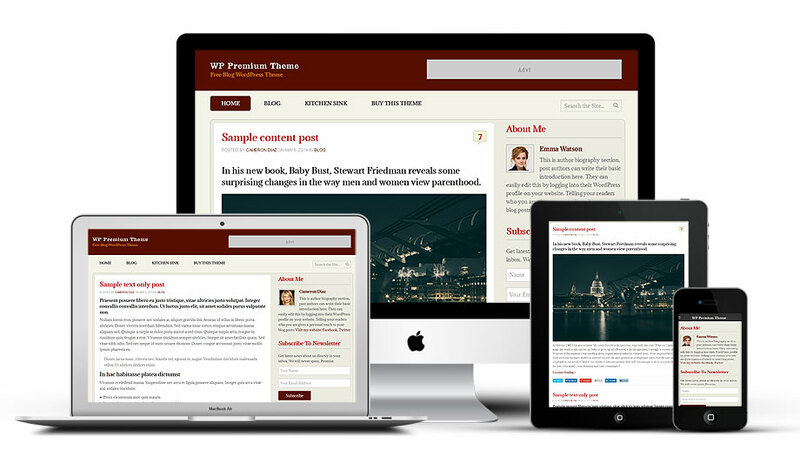 Share your thoughts with the world with one of the best responsive and free WordPress themes. Display information about the post author such as the avatar and the username inside the blog detail page sidebar. Allow visitors to subscribe to your email newsletter. Four services to choose from: MailChimp, Feedburner, Aweber, FeedBlitz. 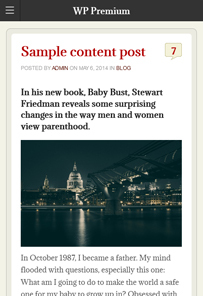 Display posts from one of your blog categories (choose exactly which one). Also allows you to set the number of posts to show. Show related, popular or latest posts as a series of tabs (featuring different content). Control the number of posts shown. 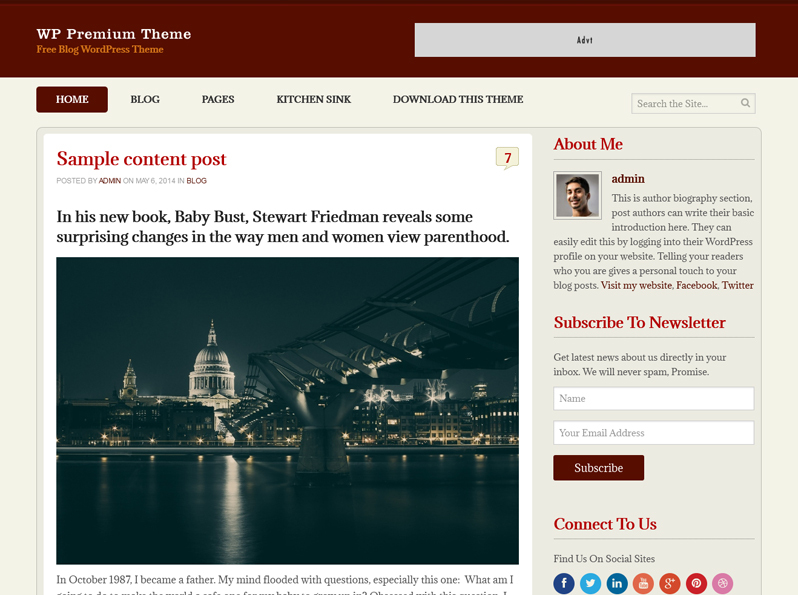 WP Premium theme has been built with mobile users in mind. This mobile-friendly design ensures compatibility with each and every device your visitors try to use for accessing the site. This includes PCs, Macs, tablets, smartphones… anything short of a potato, really. Using the WordPress real-time customizer (available from Appearance ? Customize) you’ll have the ability to completely alter the look and feel of your website. This theme is compatible with some of the most popular WordPress plugins. Get best of both the worlds. Under each post you’ll find several built-in sharing buttons. These include: Facebook, Twitter, Pinterest, Google+ and LinkedIn. By using video embed codes from sites like YouTube or Vimeo, you can insert a video inside any post or page inside WP Premium. Utilize one of dozens pre-coded designs for styling your own content. To see what’s available open this page on our demo site. Doesn’t matter whether you’re creating a new property entry or a blog post, each image you upload will be automatically resized to fit whatever frame it needs to be displayed in. 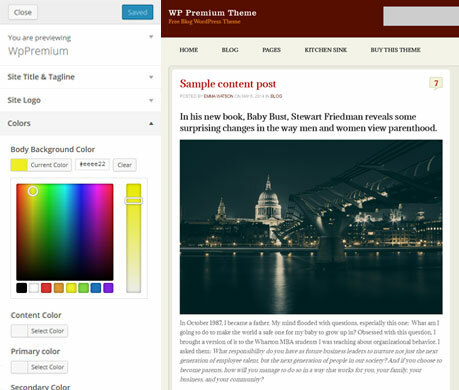 This is one of the best free WP Premium WordPress themes you’ll find online. 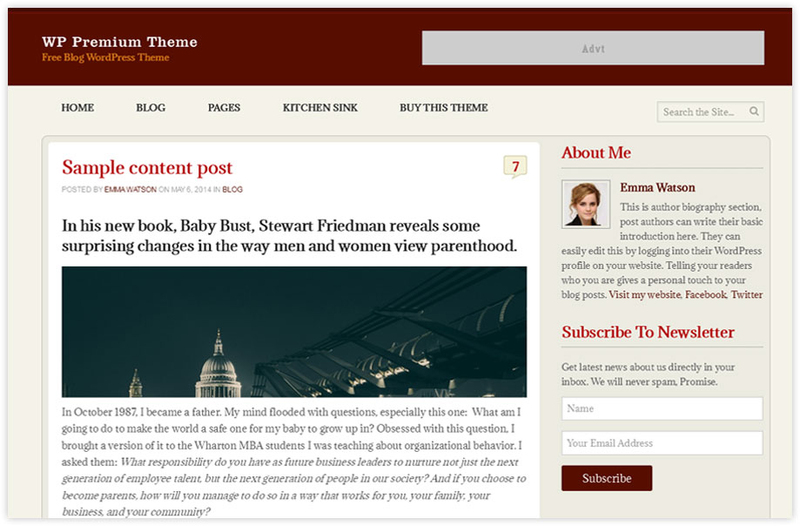 Download this great looking template and launch your Classic Blog website today.